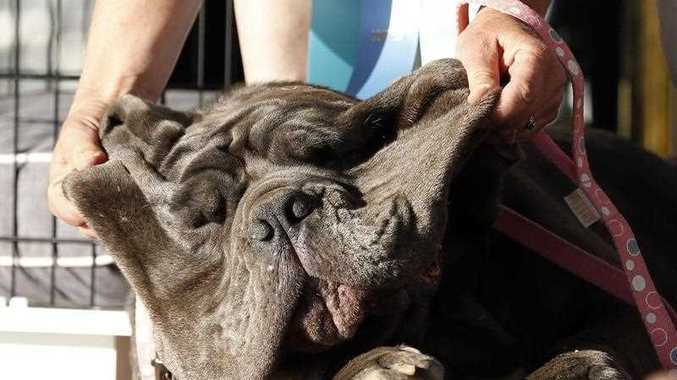 This year's World's Ugliest Dog has been crowned - it's Martha the mastiff. The annual event to find the homeliest canine takes place at the Sonoma-Marin Fair in California, and it can be a dog-eat-dog competition. But the 125-pound Neapolitan mastiff beat 13 other mutts to win a $1,500 prize and a trip to New York. Pug-ugly Martha was abused before being advertised on Craigslist, when she was rescued by Shirley Zindler, founder of Sonoma-based non-profit the Dogwood Animal Rescue Project. According to Ms Zindler, she was nearly blind from neglect. After three surgeries, she was left with droopy red eyes and uncontrollable drool. She has since been adopted by Jessica Burkard of Penngrove, California, whose father called Martha a "train wreck". Rather than her red eyes, however, it was reportedly her blood-hound jowls that clinched the deal, as she (and her cheeks) sprawled all over the stage during the competition. 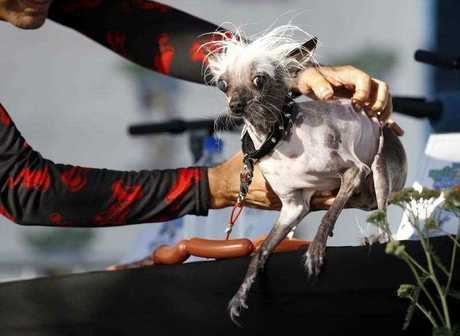 Former champions include SweePee Rambo, a blind Chinese-crested beast, and Quasi Modo, whose spinal birth defect causes her to be mistaken for a hyena or Tasmanian devil. As unkind as the competition sounds, the fair's website points out that it does has an ethical function. "The contest has done much to raise awareness for adoption of dogs, and that no matter their physical detractions, these animals are loving companions.